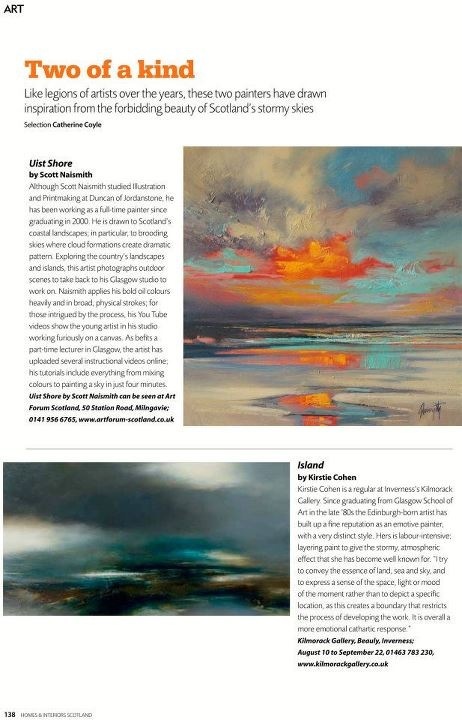 Like legions of artists over the years, these two painters have drawn inspiration from the forbidding beauty of Scotland’s stormy skies. Although Scott Naismith studied illustration and printmaking at Duncan of Jordanstone he has been working as a full time painter since graduating in 2000. 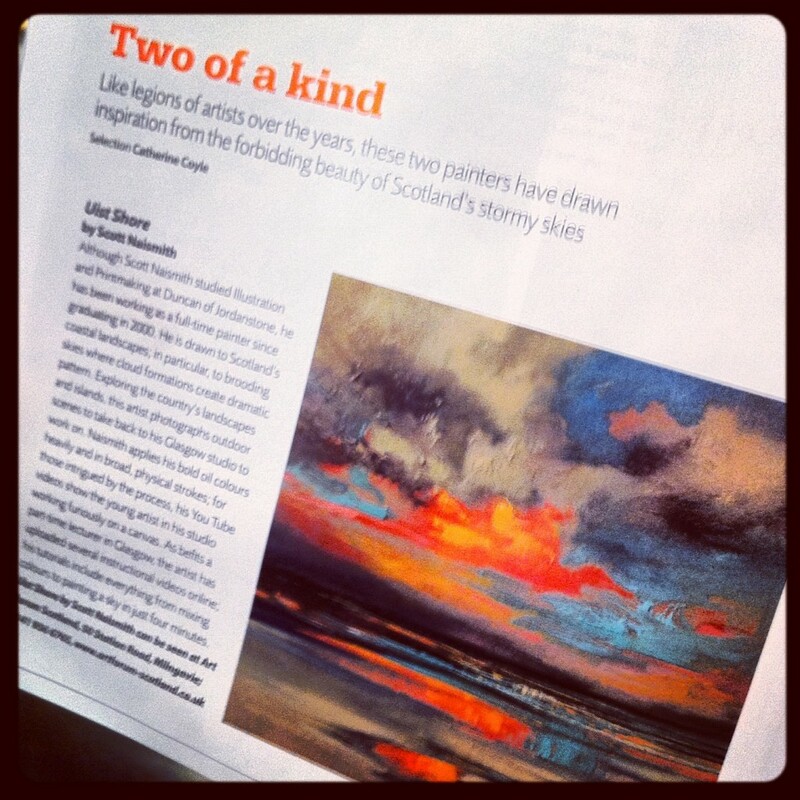 He is drawn to Scotlands coastal landscapes, in particular, to brooding skies where cloud formations create dramatic pattern. Exploring the country’s landscapes and islands, this artist photographs outdoor scenes to take back to his Glasgow studio to work on. Naismith applies his bold oil colours in heavily and in broad, physical strokes; for those intrigued by the process, his youtube videos show the young artist in his studio working furiously on a canvas. As befits a part-time lecturer in Glasgow, the artist has uploaded several instructional videos online; his tutorials include everything from mixing colours to painting a sky in just 4 minutes.